비즈니스 및 레저 여행 모두를 충족시킬 수 있는 본 숙소(TRYP 이지에노폴리스 호텔)는 도시에서 가장 유명한 지역 중 하나인 콘솔라상에 있습니다. 활기로 가득찬 도심이 단 1.0 Km 거리에 있습니다. 본 숙소는 Leica Gallery Sao Paulo, Vilaboin Square, Shopping Patio Higienopolis 등과 같은 도시의 주요 명소들과 가까운 거리에 있어 투숙객이 편리한 여행을 즐길 수 있습니다. 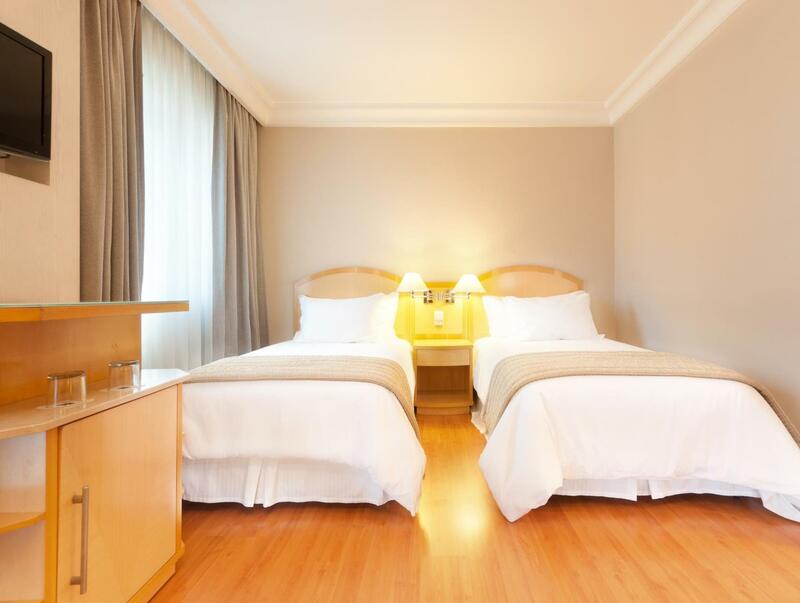 Melia International Hotels의 모든 서비스와 시설을 내 집처럼 편안히 이용할 수 있습니다. 이 멋진 숙소에서 머무르며 24시간 룸서비스, Wi-Fi (공공 장소), 발렛 파킹, 주차장, 룸서비스 등을 즐길 수 있습니다. 본 숙소(TRYP 이지에노폴리스 호텔)에는 집같이 편안하고 안락한 총 209개의 객실이 있으며, 감각적으로 세련되게 꾸며진 많은 객실에서 평면 TV, 금연 객실, 에어컨, 난방, 모닝콜 서비스 등을 이용할 수 있습니다. 본 숙소에서 피트니스센터, 사우나, 실외 수영장, 실내 수영장, 정원 등을 즐기며 편하고 완벽한 휴식을 취할 수 있습니다. 본 숙소(TRYP 이지에노폴리스 호텔)는 상파울루행 여행객의 스마트한 선택이 될 수 있습니다. 바쁜 일상을 벗어나 매순간이 편안한 휴식이 될 것입니다. the room was very nicely furnished and was of good size. nicely stocked mini bar and balcony (without chairs)! helpful staff although many staff did not speak english. it worked well for us as a cheaper out of town option. however we spent a lot on taxis going into town. there is a subway train but was a little weary of using it on my own. restaurant was fairly pleasant but with a limited menu. Free Internet usage was slow and When I paid for an upgrade to the next level the difference was impercievable. This is obviously a profit center for them but quality was not worth the price. 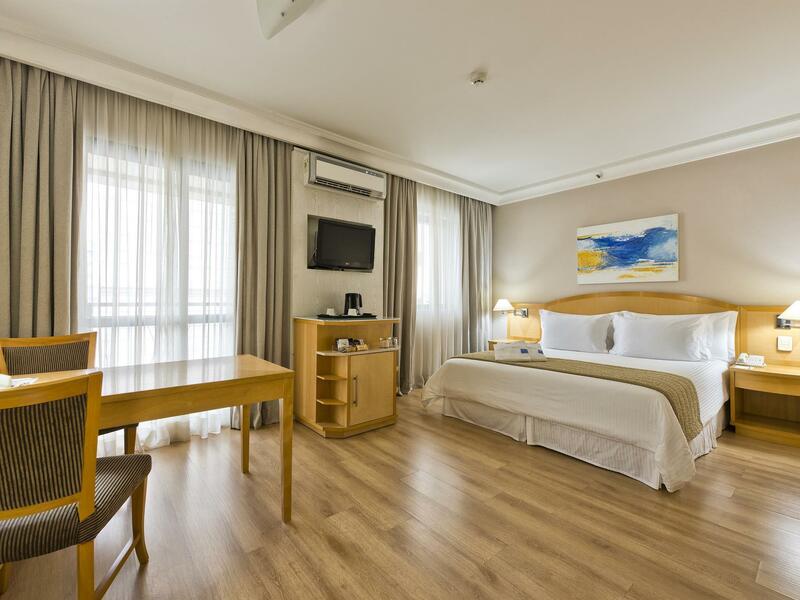 The Hotel is located near Sao Paulo's business Center and is near a great Shopping Center and in a great neighborhood central to all areas of the City and also very safe. Staff was very Friendly and accommodating. 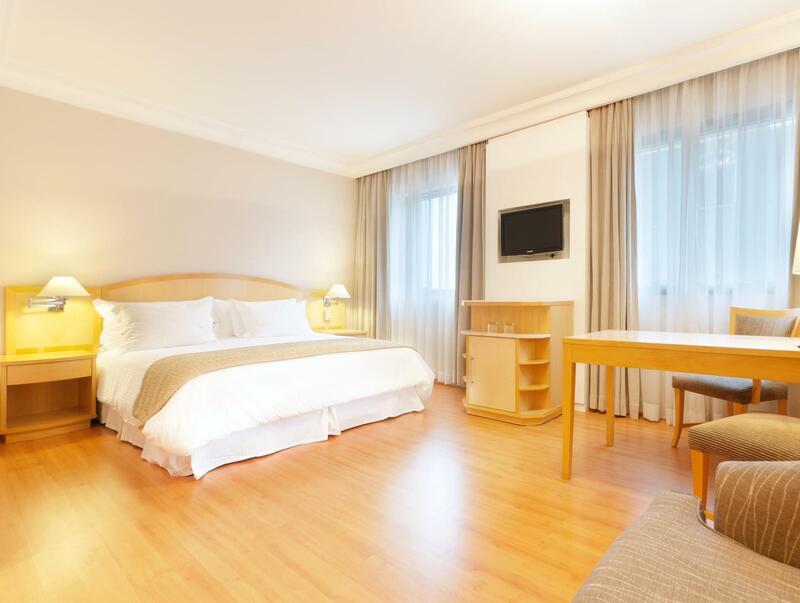 The Rooms are comfortable and Clean with 4 working elevators to very adequately service all 25 Floors of the property. The Breakfast was nothing spectacular but had enough variety to make it worthwhile. Internet access was the only shortcoming. Free Internet usage was slow and When I paid for an upgrade to the next level the difference was imperceptible. This is obviously a profit center for them but quality was not worth the price and the annoyance to the Guests is not worth the miniscule profit. This is obviously a profit center for them but quality was not worth the price. I had a good experience when lodging at this hotel, no complainst but just the very limited size of the room I took. The location was ideal as I like to walk around the city, safe and well groomed, the hotel was perfect for a starting point when touring Sao Paulo. The hotel staff was always friendly and helpful, corteous and educated, responses to my request were always provided in a quick manner. Zum mittlerweile vierten mal war ich im Tryp Higienopolis. bietet sich für mich zum einen durch die zentrale Lage an, vor allem besticht es aber durch eine schöne und vor allem sichere Umgebung. Paulista, Jardins, Higienopolis. Von daher kann ich das Tryp nur empfehlen, auch wenn ich beim Frühstück leichte Abstriche machen würde, wie auch beim Pool und der Geschwindigkeit der Fahrstühle. Aber, auch beim nächsten Mal werde ich dort wohl wieder unterkommen - und einen Gang in das nahgelegene Shoppingcenter machen. das tryp higienopolis hotel habe ich nun schon zum zweiten mal besucht. es liegt in einem wunderschönen viertel, in unmittelbarer nähe gibt es unzählige restaurants, boutiguen, wie auch eine shoppingmall. leider ist das frühstück wie auch der internetzugriff nicht inklusive, dafür kann man sich aber im schicken pool erholen. alles in allem zu empfehlen, bei hohem standard, auch wenn die klimaanlage super laut ist. eu e minha esposa logo na recepecção nao fomos bem atendidos, o recepcionista foi um tanto grosso e indelicado, passei a falar somente em ingles, ai ele modou de agua para vinho sua maneira de nos atender. não tinha quartos limpos no horário que cheguamos(16:30), foi necessário dar uma voltinha no shopping higienópolis. mas a grande decepção foram as tolhas de banho, todas estavam com cheiro horrivel, pedi para trocar, mas todas tinham o mesmo cheiro desagradável. O hotel é razoável no que diz respeito ao conforto. Os funcionários são muito simpáticos e prestativos. O serviço de limpeza e de conservação do hotel deixa muito, muito a desejar. Os carpetes, paredes e pisos não estão de acordo com padrões de higiene e limpeza aceitáveis. Bom café da manhã. Ho passato due buoni giorni ma sono sempre uscito per il mangiare che ritengo fosse scadente. Ben posizionato a pochi passi sia da centro commerciale che alla moderna via Paulista. La zona dov'è situato l'hotel è ben curata e si può passeggiare tranquillamente. Non esiste un bisness center ma tutte le richieste vengono soddisfatte dalla reception. Lo consiglio anche alle famiglie. Bella piscina ma solo scoperta. Molto pratico.Lo sconsiglio a chi deve ricevere clienti o lavorare dall'albergo. prima service, goede schone kamer. Het hotel ligt in een relatief veilige buurt met winkels en restaurants op loopafstand. Taxi's zijn eenvoudig via het personeel te bestellen. Kamers zijn voldoende ruim met een prima bureau en internet voorziening. Er is ook een zwembad en andere faciliteiten voor het geval de gast daar tijd voor heeft. hotel staat lokaal goed aangeschreven.